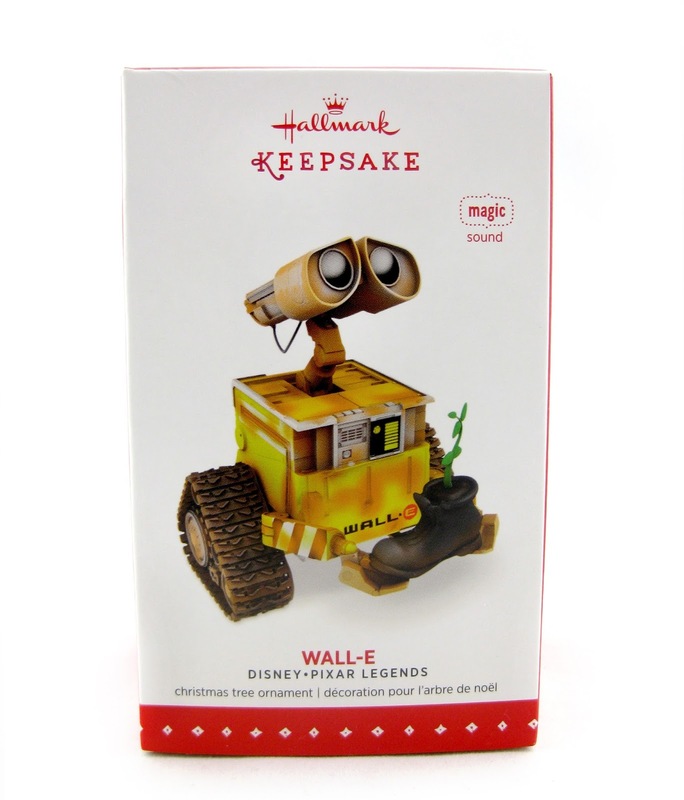 As part of the 2015 Hallmark Keepsake collection, here we the adorable new Wall·E Christmas tree ornament- with sound! This ornament is (well, from what it feels like) completely plastic, measures about 2.5 inches tall and retails for $17.95. 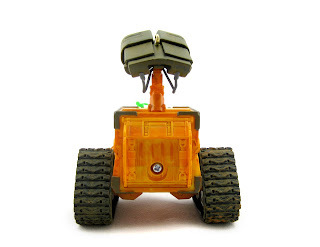 Two button cell batteries are included! 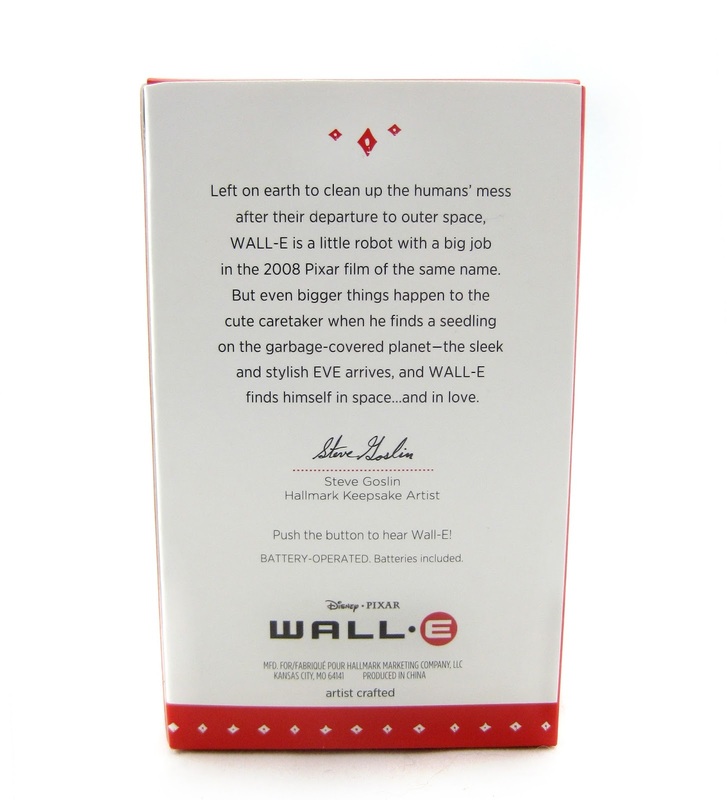 This is the fifth ornament in the "Disney·Pixar Legends Series". The previous four ornaments/characters released under this banner were: Carl/Russell (2011), Sulley/Boo (2012), Crush/Squirt (2013), and Edna Mode (2014). Lets take a better look at this product out of the package- lookin' great! 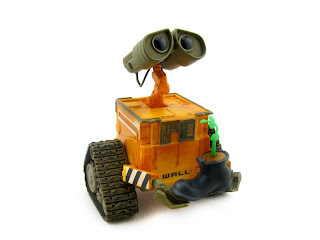 The only slight critique I have is that the paint job is (I feel) a bit more orange than the character's in the film (and official product shots), but it's close enough that it's really no big deal. It's a really nice looking ornament overall! Check out the video below to see/hear it in action. 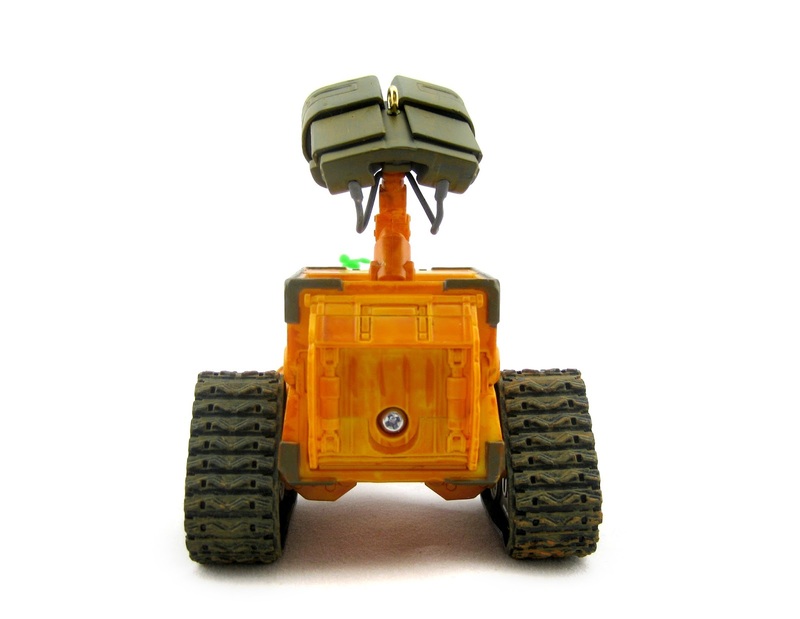 Just press the little button on his side to hear several of Wall·E's signature phrases and sounds such as "Wall·E! ", "Earth! ", "Eve-A" and other bleeps and bloops. 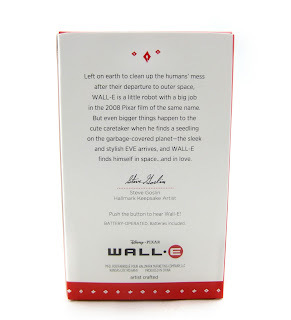 For fans of Wall·E, I can't recommend this enough this holiday season! Be sure to check your local Hallmark store for availability, or find it on their website HERE. Happy holidays!